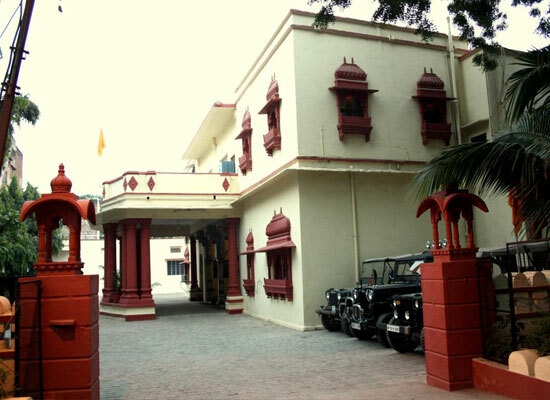 "Ishwari Niwas Heritage Resort is a symbol of Hada legacy and ethnic culture. The luxury resort has a character representing the heritage of Bundi, Rajasthan. Find the royal hospitality in a homely atmosphere. The peaceful town of Bundi is famous for the brave Hada Rajputs, miniature paintings in the palace, beautiful nature and is often called the city of step wells. 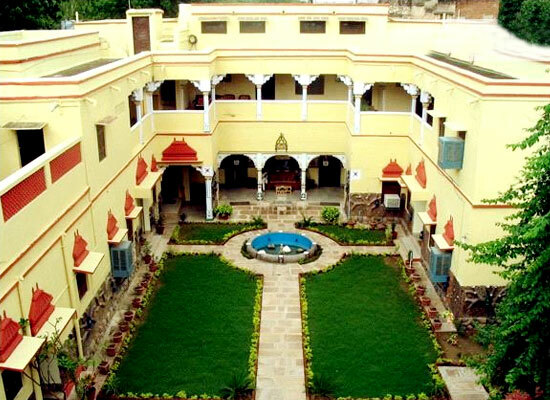 Explore the pages of history with your stay in this heritage hotel in Rajasthan. Lavish stay, delicious food, and thrilling adventure, get ready for a memorable vacation. The Haveli of Ishwari Niwas Heritage Resort was built during the reign of Maharao Raja Ishwari Singh for the Diwan of Bundi State. Around hundred years old building is the combination of Indian as well as European style of architecture. In 1945, it was handed over to Maharaj Kesari Singh, for his residence. It was later turned into a guest house. Today, it is also the residence of Maharao Raja's nephew Maharaj Balbhadra Singhji. The haveli now welcomes guests from all over the world. 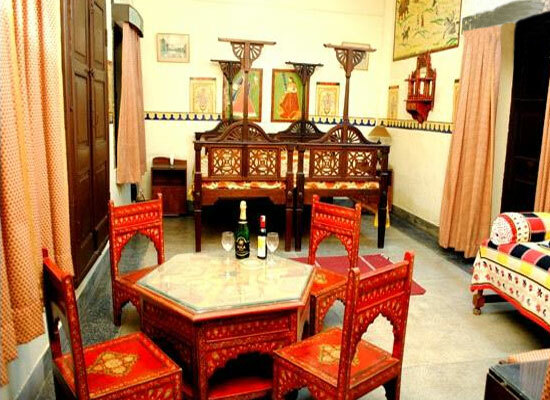 The Ishwari Niwas Heritage Haveli is a traditional home. There are 24 spacious rooms around a courtyard. The rooms have a rustic charm with modern luxuries. 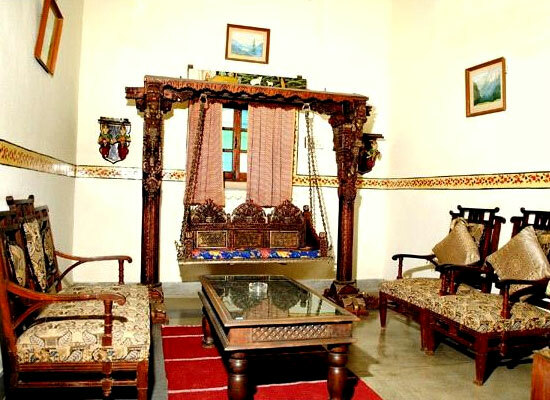 The decor of the haveli is a traditional Bundi style. The open courtyard has many tables and chairs arranged around a small fountain for the guests to lounge. 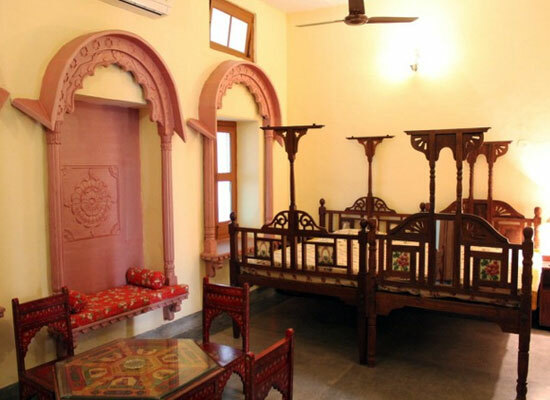 Spend your evening sitting around the paintings in the haveli are of Bundi style. Authentic Rajasthani food is on offer. 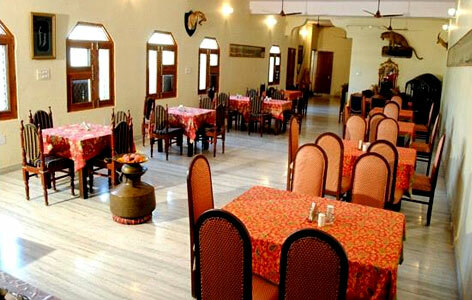 Bundi enjoys a prominent history with food specialties of Rajasthan. Relish a delicious vegetarian platter. Spices, traditional methods of cooking and a huge platter, food is one of the pleasures of your stay at the heritage hotel in Bundi. 24 hr. hot and cold running water. Bundi in Rajasthan is a town at a distance of 40 km from Kota. The town is renowned for its heritage character visited by inbound traveler looking for off beat and experiential stays. The city is one of the prominent locales in Rajasthan and makes for an intriguing exploration.